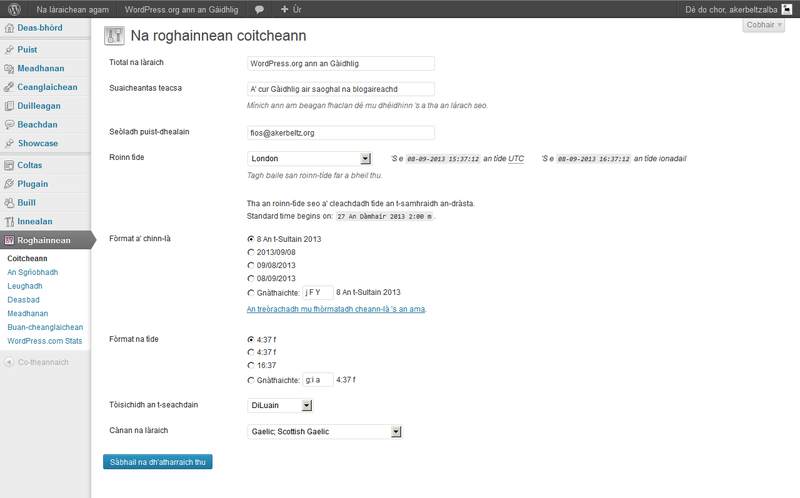 Gheibh thu a’ phacaid stàlaidh an-seo. 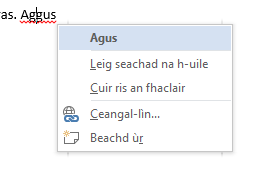 Ma dh’èireas ceist sam bith co-cheangailte ris an eadar-theangachadh ann, leig fios, no dad a thaobh cànain nach eil ag obair buileach. 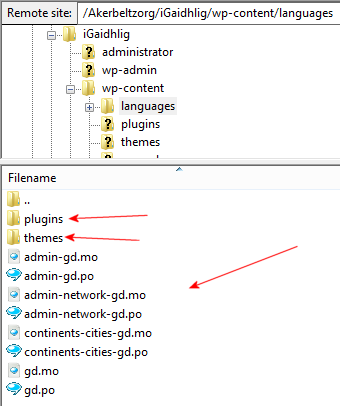 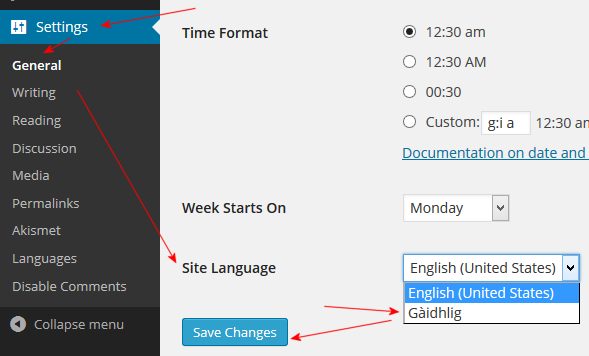 Ach mas e duilgheadas teicnigeach a tha agad leis an stàladh no le WordPress san fharsaingeachd, gheibh thu an taic as fhearr o mhuinntir WordPress iad fhèin an-seo. 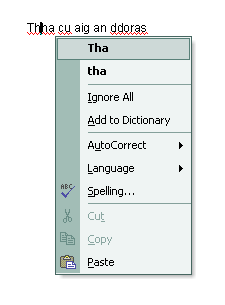 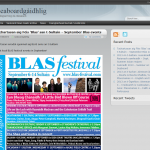 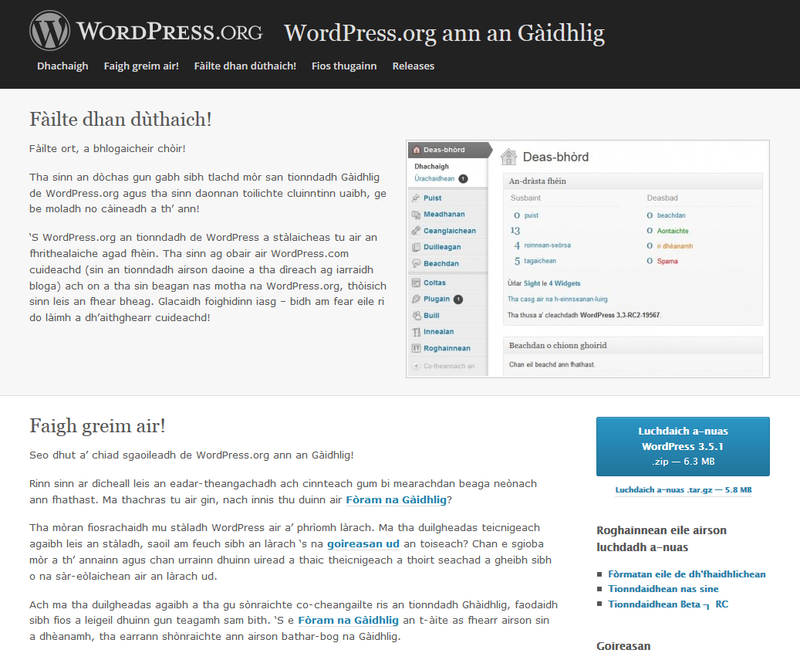 No stàlaich a’ phacaid air fad de làimh (gheibh thu stiùireadh o WordPress d’ a thaobh-sa). 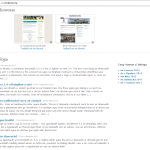 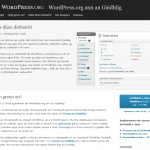 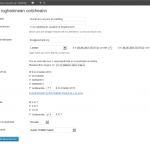 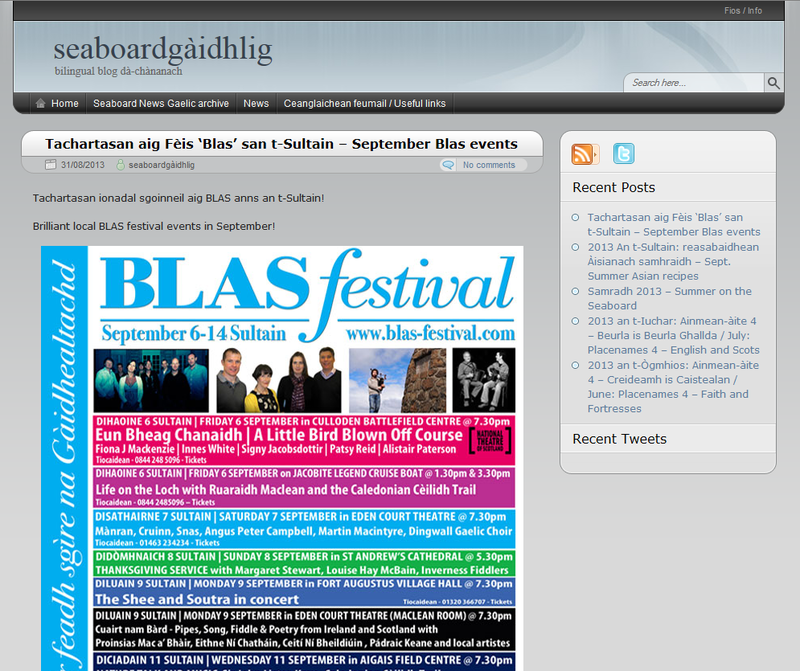 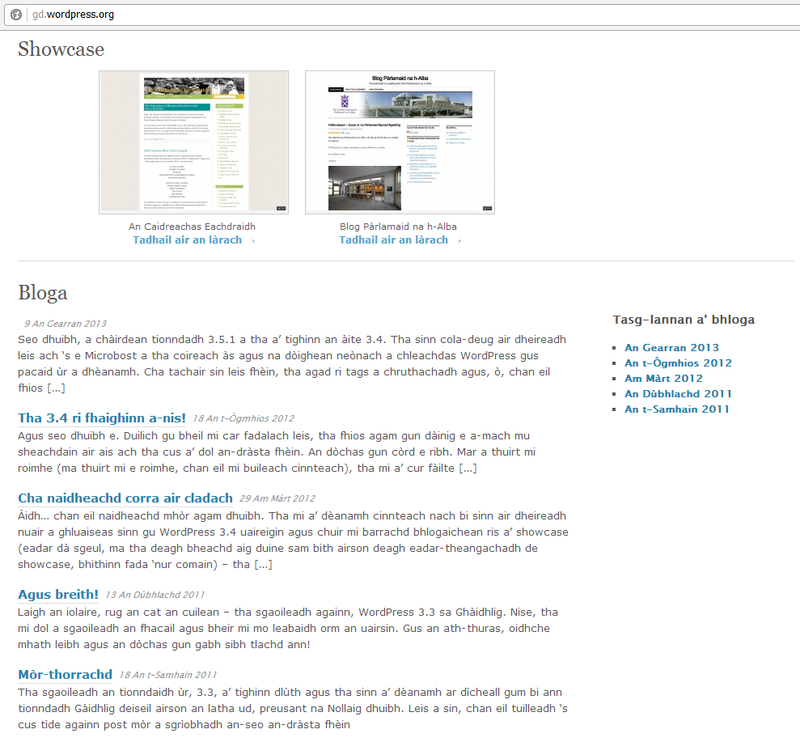 No mur eil gin dhiubh seo ag obair, iarr taic air WordPress.